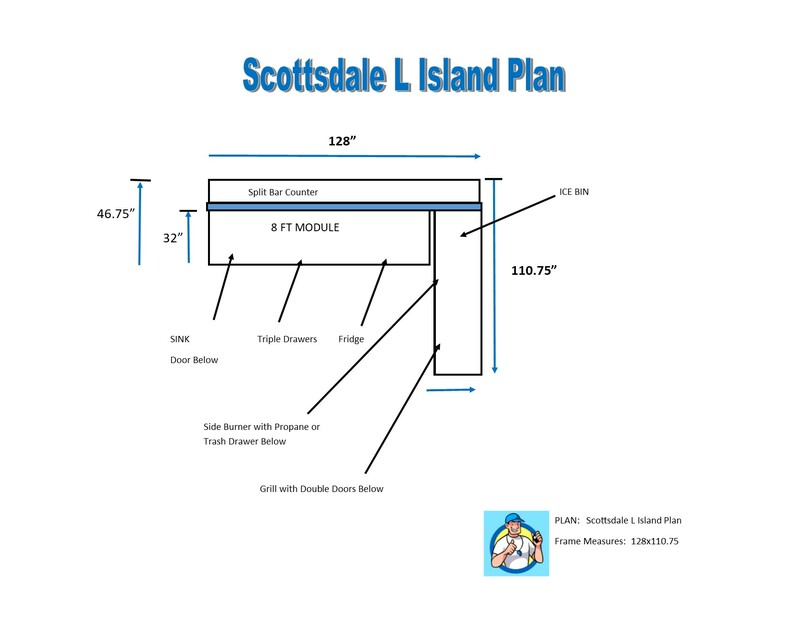 Beautiful L Island with 128" of split bar counter where you can comfortably sit 5 adults. Back splash only behind the grill. You can make the back splash behind the grill taller than 6" by adding 2 each 12" over hang kits that you can mount to the top of the 6" back splash creating an 18" high back splash.